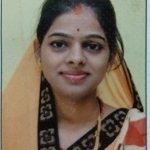 Ankita Ramsevak Mishra from Amravati, B.B.A Graduate. Ankita Ramsevak Mishra is FINANCING AND ACCOUNTING and currently have no work experience. COMMUNICATION ABILITY TO DEAL WITH.. HARD & SMART WORKING..
are one of expert skill area's of Ankita Ramsevak Mishra . Ankita Ramsevak Mishra is working in Finance industry.